(Raccoon Dogs - Wishful Thinking - 04) Raccoon dogs tend to live in pairs. Mating season commences when they emerge from their burrow, with the female being receptive for 6 days. After a gestation period of 60 days, about 5 cubs are born, but births of as many as 12 have been recorded. The male raccoon dog stays with the female, helping to raise the cubs. The male helps by providing food, for his mate first, then for the cubs as well when they begin to eat solid food. The cubs are weaned after 50 days. In some areas, several pairs have dens in close proximity to one another, but do not seem to establish any sort of territorial boundaries. The young are sexually and physically mature at one year old. 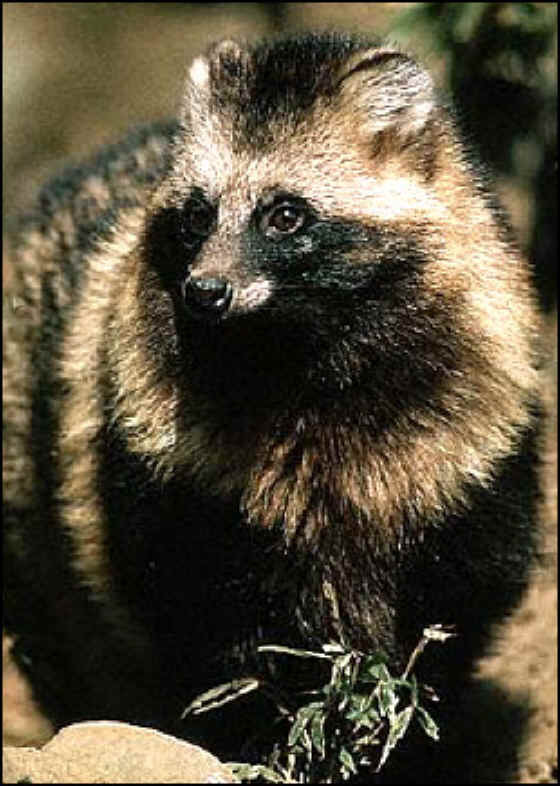 Raccoon dogs do not live for more than about 3-4 years in the wild, which we believe is primarily due to being extensively hunted for their fur. 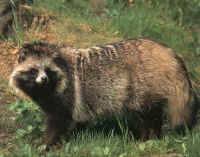 Raccoon dogs can live for 11 years in captivity.